"To you, sons of Confederate veterans, we will commit the vindication of the cause for which we fought. 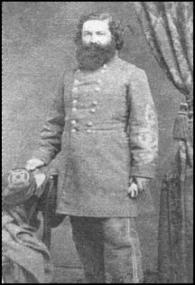 To your strength will be given the defense of the Confederate soldiers good name, the guardianship of his history, the emulation of his virtues, the perpetuation of those principles which he loved and which you love also, and those ideals which made him glorious and which you also cherish." Served at Antietam and Fredericksburg, where Robert E. Lee praised his defense of Marye's Heights, and at Gettysburg, where his division made successful assaults through the Peach Orchard and Wheatfield, but was unable to dislodge Union forces from Cemetery Ridge. 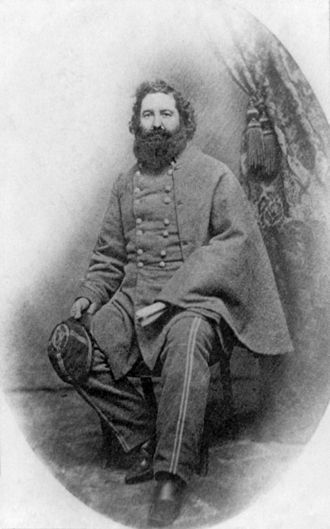 After the Knoxville Campaign, ﻿he was sent to his his native Georgia to resist Sherman's March to the Sea, but had to retreat through the Carolinas, losing many men through desertion, and is presumed to have surrendered with Joseph E. Johnston in April 1865.